Click the button below to add the ENGINE ASM, 350 HO TURN KEY W/670 HOLLEY (1018) to your wish list. 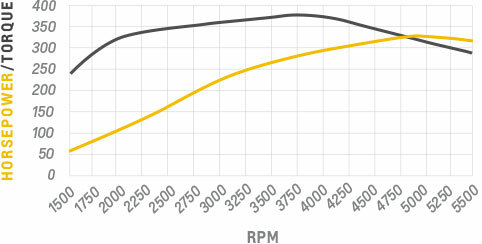 The classic 350 Small-Block engine has powered countless project cars since its introduction in the 1967 Camaro and it is easy to understand why: it makes great power and torque in a compact, affordable package. That’s exactly what you get in our 350 HO Turn-Key crate engine. As one of Chevrolet Performance’s Turn-Key engines, the 350 HO Turn Key comes with the intake manifold and distributor installed. It also includes the carburetor, front-accessory kit, starter, fuel pump and spark plug wires. It’s just about everything you need to get this classic 350 up and running in your project vehicle.